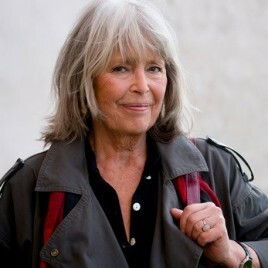 (born 1940) – a Swedish prose writer, poet and translator. She studied philosophy, literature and anthropology. She practices literary criticism. Together with her husband, a journalist of Polish descent, she translated Zbigniew Herbert’s poetry into Swedish. In the years 1988-90 she chaired the Swedish PEN Club. Four her novels were published in Poland: Vindspejare (1999, translated by Halina Thylwe), En vinter i Stockholm (2000, translated by Grażyna Wąsowicz-Ludvigsson), Lord Nevermore (2003, translated by Iwona Jędrzejewska – its characters are Stanisław Ignacy Witkiewicz and Bronisław Malinowski) and Spådomen. En flickas memoarer (2016, translated by Justyna Czechowska). In 1995 a volume of her poetry translated and selected by Leszek Engelking saw print in Poland under the title Anioły ze snu.